Multiplex: Deleted Scenes — Etc. 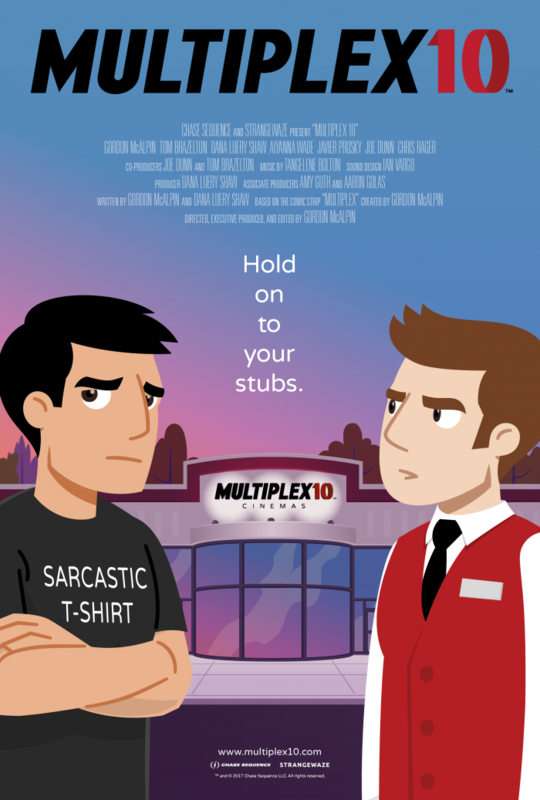 The Multiplex 10 animated short has completed production and will be released on January 29, 2018, via Vimeo On Demand. I’m incredibly proud of the short, and I hope you enjoy it. As you probably know, while the short film stands on its own, it was also conceived as a pilot for a Multiplex 10 series, and in order to have the best possible chance of turning the pilot into a series, we need to have the widest possible distribution. Produce a Multiplex 10 branded USB card preloaded with the short, so that we can sell the short on physical media, such as at conventions. Help offset some of the costs of submitting the short to film festivals, distributing the film digitally, and promoting the film, all of which adds up super quickly. Every penny beyond the $2,000 base goal will mean we can promote the short better, submit to more festivals, and produce promotional materials supporting the release. At $4,000, for instance, we’ll produce an all-new, 2–3-minute Multiplex 10 “webisode” featuring Kurt and Jason (and maybe some other familiar faces), which will be released free online. But you haven’t seen the short yet, so how can you know you’ll want more of it? I hear ya. So along with the launch of the Indiegogo campaign, I’ll be sharing an exclusive preview of the first scene from the short! With the release date of the short fast-approaching, this will be a quick one — the funding period will be only TWO WEEKS LONG. So don’t hesitate! 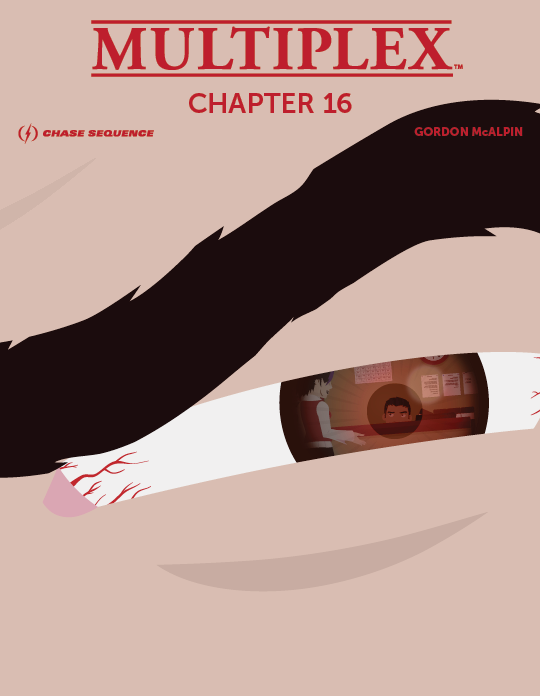 Multiplex: Chapter 16 is now available! $3+ Patreon supporters get this one for free (until the next eBook is available), but for the rest of youse: The Multiplex: Chapter 16 eBook is now available! Chapter 16 collects strips #339 –362 from the Multiplex archives, plus four bonus comics and one “extended scene” not found in the archives! Chapter 16 costs $1.99. Supporting the Multiplex chapter eBooks helps make future Multiplex print collections possible. Thank you for your support! Posted in Etc., Merch | Comments Off on Multiplex: Chapter 16 is now available! 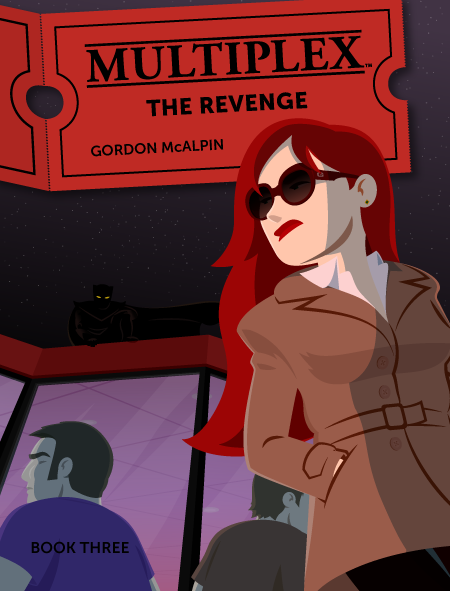 Multiplex: The Revenge is now available! Multiplex: The Revenge collects chapters 11–15 of the series (strips #217–338, which ran from March 2008 to March 2009), plus over 30 bonus comics — including an all-new stories sets on opening night of The Dark Knight and Zack Snyder’s Watchmen! If you miss Multiplex and would like to see more with these characters, the book collections are for you. Head on over to the Multiplex Store and check it out today! Posted in Etc., Merch | Comments Off on Multiplex: The Revenge is now available! Hello! 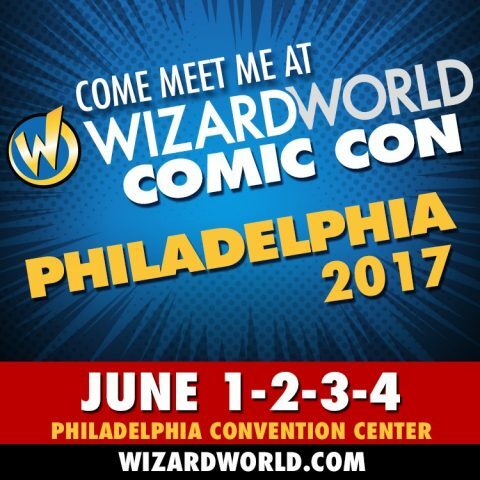 If you’re in the area, come meet me at Wizard World Philadelphia with Phil Kahn of Guilded Age. We’ll be at Booth 1702. NOTE: I will only be there from June 2–4. No Thursday preview for me. If you use the coupon code GUILDED, you can get 20% off your advanced ticket orders. I will have copies of the brand-spankin’-new, not-even-officially-released Multiplex: The Revenge (Book Three) in tow, draw sketches (for monies), and if my iPad has any juice in it, I’ll show you some behind the scenes stuff from the Multiplex 10 short, too.